Number four in our 2016 Top Ten is Tom White’s The Fiction Aisle. The Fiction Aisle issued their second album Fuchsia Days this year, showing that 2015’s gorgeous cinematic Heart Map Rubric wasn’t just a one off. It seems like forever since we wrote about Dizzy, Bentcousin’s ode to summer in Brighton, and it was a while ago – back in the middle of June. But it came out on 7″ on 1st July, so gets the honour of taking top spot in our July round up. Conversely, Glass Heart was one of the most recent things we wrote about. There’s also now an alternate version on Spotify too. The new Caveman Genius EP isn’t out yet (despite what we might have written when we first mentioned it), but if it’s all as good as Hand Drawn Paradise, then we’re prepared to wait. Oslo Parks are one of a number of new electronic pop bands who have sprung up in Brighton, part of a trend that you won’t find us complaining about. Another sun related song in our top ten – the fantastic weather in July obviously affected us. Fragile Creatures’ new EP is due soon, and there’s word that we might get to hear another track from it before the release date. Demob Happy are a bit more melodic than usual in their latest offering Suffer You which appeared on Soundcloud last month. The band also announced details of their first headline UK tour, which concludes in Brighton on October 16th at Bleach. Dear Em is the title track from Steve Elsom’s new EP / mini-album of lovely acoustic folk pop. It was hard to pick one track to put in our top ten since the whole EP is quite blissful. Most of what we hear about via the blog is original music, but when Tom White covered the whole of Saint Etienne’s Good Humor we paid attention, as should you. This week sees the release of Thomas White’s new album Yalla, and I thought I’d find out a bit more about from him via the pubs he lists in the lyrics of the closing track English Sargasso: The Dorset, the Hand in Hand, Fitzherbert’s and The Globe. Album Review : Thomas White / Yalla! It’s easy to get bored on holiday. You don’t have all your daily routine to keep you preoccupied. But when most of us get a bit bored when we’re away, we reach for a paperback, or head to the bar. Not Thomas White though. When he was bored on holiday in Egypt (before last year’s Arab Spring), he knocked up a whole new album, just using his guitar, his laptop and the the microphone of his pocket videocamera. He wasn’t even going to release it until he was persuaded by friends that he’d be a fool if he didn’t. Yalla! is Thomas White’s third solo album, on top of those he’s made with Electric Soft Parade and Brakes (and numerous guest spots with others), and it quite possibly his most personal and accomplished work to date. The album fades in quietly, opening with All The Fallen Leaves. Nearly a minute passes before the first chord is played. 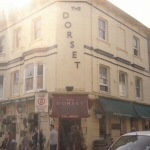 The lyrics tell of a aching for home – Brighton – despite the fact that “the sun beats down on desert ground”, and that home is “cold, wet and brown”. An acoustic guitar plucks away at simple chords, and a haunting close harmony joins in for some of the repeated lyrics which aren’t quite a chorus. I’ll See Her Again and That Heavy Sunshine Sound are a bit more upbeat, but the undercurrent of yearning is still there – not for Brighton this time, but for a woman. The latter is definitely one of my highlights of the album, with the near perfect stanza “I am a boy / with a crush on a girl / who is out of my league / and is certainly out of this world”, which encapsulates exactly how I felt far too often in my early twenties. The album continues in it’s psychedelic folk theme – Nick Drake with harmonies by the Beach Boys, with Norwegian Wood by the Beatles playing on the radio in the next room. For a more recent comparison, it occupies the same musical space as Balcony Times, the album put out at the end of last year by Milk & Biscuits (which incidentally, Thomas played on). The best is saved until last. Album closer The English Sargasso lasts for nearly six and a half minutes, and by this point, Thomas is homesick for his friends and the pubs of Brighton – “We’ll hit the Dorset, and maybe The Hand, and down to Fitzherberts and the Globe after that”. While the last piece clocks in over five minutes, it doesn’t drag, but feels unhurried, moving along at a different, slower pace. The kind of pace that things move at when you’re on holiday with absolutely nothing to do – an incredibly clever trick to nail. If this is what happens when Mr White goes on holiday, I can’t wait to hear the results of his next trip. 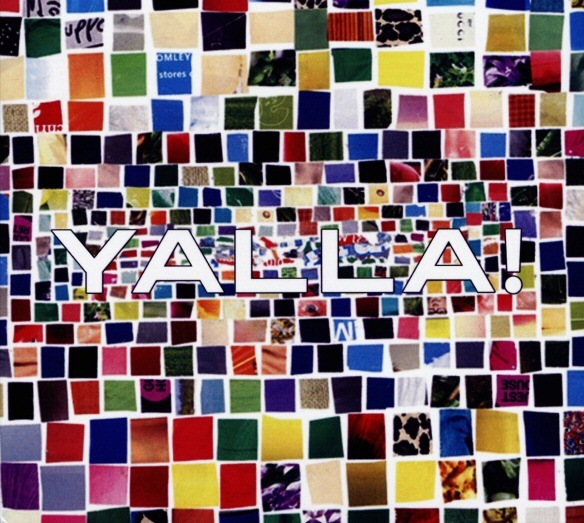 Yalla! 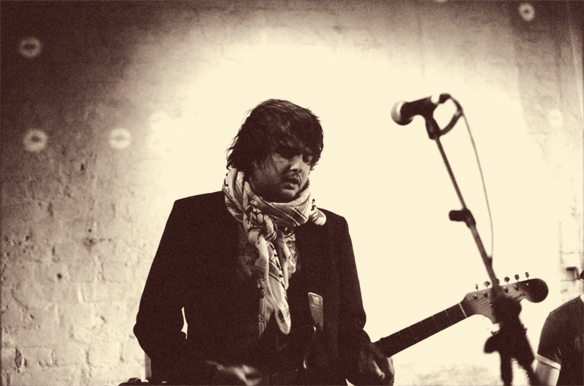 by Thomas White is released on Bleeding Heart Recordings on 19th March 2012. The first 50 copies – available through Resident Records in Brighton and Rough Trade in London – come with a bonus five track cd, and there will be a free instore gig at Resident at 6pm on 19th March, where the album will be available for £6.99.